Choose different size top to fit your monitor need. Easy height adjustment to fit different requirement. 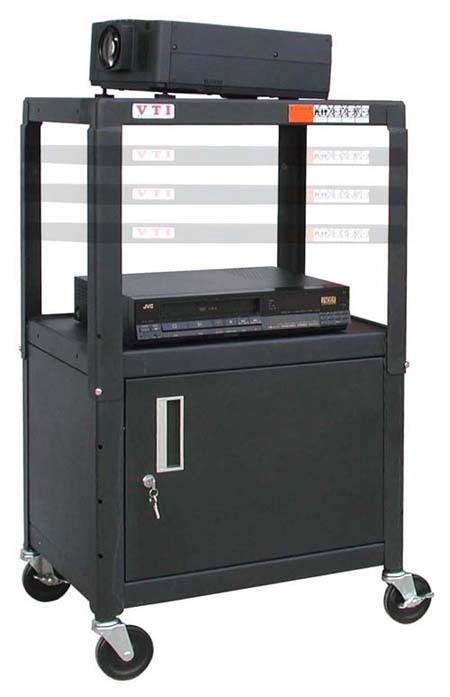 Equipped with 4″ swivel casters ( two with lock ). Powder paint finish color: Black. Come with UL listed / CSA approved 15′ cord, 4-outlets power strip with surge protector and cord winder. Mat included to keep equipment in place. Ship UPS or FedEx, ready to assemble.